Sign up for our mailing list (one, maximum two mails per month) here. This month look out for the Pot of Gold inside the salon, where you can receive surprise discounts from your regular treatments, should you not wish to opt in to a special this month. and get a free alcoholic beverage: beer, glass of red/white wine! What other way to start (or finish!) off the day than with a relaxing radiance facial! This facial ritual comforts and provides an instant radiant glow for dehydrated skin. This is suitable for all skin types, even sensitive skins. This relaxing and results-driven treatment starts off with a brief introductory back, neck and shoulder massage with an essential oil rich balm. After a thorough deep cleanse and extractions, Decléor’s active ingredients of Neroli are gently massaged into the face, neck and decollete. The HydraForce mask containing rich ingredients is then mixed in the room (to maintain the highest quality actives) and placed on top of thin gauze which is placed over the face, neck and decolleté. 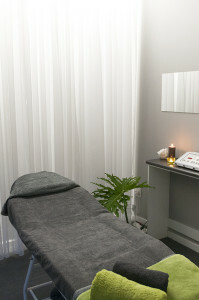 The cherry on the top is a hand massage while you sink deeper into your happy place! All skins are perfectly moisturised, any sensations of tightness disappear. If you are wanting to have an all-round pamper, try this package. Your friends will be jealous when they hear about it! Indian head massage uses and adapts classic Swedish massage techniques for treating the scalp, face, neck and shoulders. It works on the areas of the body that are most affected by stress, however while the treatment is just on the upper part of the body it’s effects are felt throughout the mind and body. Includes soak, exfoliation up to the knee and removal of dead skin under the feet, as well as a foot and lower leg massage. Cutting, filing, buffing, cuticle work on the toes, as well as a long-lasting paint. This is popular with both men and women, as we have strong hands yet move with very slow purposeful movements. This takes most of our guests to the meditative state, where one feels neither awake nor asleep, but simply like one is “floating”. On the physical side – it is an incredibly detoxing treatment and we work on trigger points firmly but at a comfortable level so that you still are able to relax. With firmer pressure, clients normally feel a bit dizzy or light-headed afterwards and so there is never any rush – a sit-down with a glass of chilled Lemongrass & Ginger infused water is just what the doctor ordered! This hour-long session includes a thorough deep cleanse of the face, neck and decolleté. Relax and enjoy a restful acupressure point massage of the face with our essential oil-based active serums, followed by a de-stressing neck, shoulder and facial massage. Then, we finish off your treat with a hand massage while a deep cleansing OR hydrating mask (depending on what your skin needs) does it’s magic. Your skin will certainly look and feel healthy and nourished after this spoil! 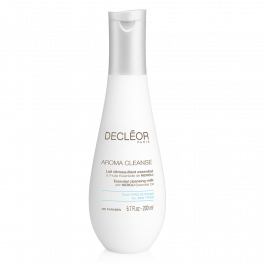 We still have stock of Decléor’s double-sized cleansers and toners at a reduced price, while stocks last! Infused with Essential Oils, our range of cleansers and toners are a pure pleasure to use with divine aromas and a variety of textures to enjoy, including milks, gels and lotions. A light, silky cleanser to help protect, repair and soften all skin types.This cleanser is normally R300 for 200 ml. While this special offer/stocks lasts, it is retailing at R350 for 400 ml! A light, refreshing toner to revitalise, balance and hydrate all skin types.This toner is normally R300 for 200 ml. While this special offer/stocks lasts, it is retailing at R350 for 400 ml! 3-in-1 Hydra Radiance Cleansing Mousse (200 ml)Perfect for those with busy lifestyles, this rich, concentrated triple-action cream cleanser contains a combination of outstanding active ingredients to leave skin feeling beautifully clean, smooth and plump. When mixed with a little water, this deep cleansing formula forms a gentle yet effective mousse to deeply cleanse and help soften the skin. This cleanser is normally R350 for 100 ml. While this special offer/stocks lasts, it is retailing at R425 for 200 ml! 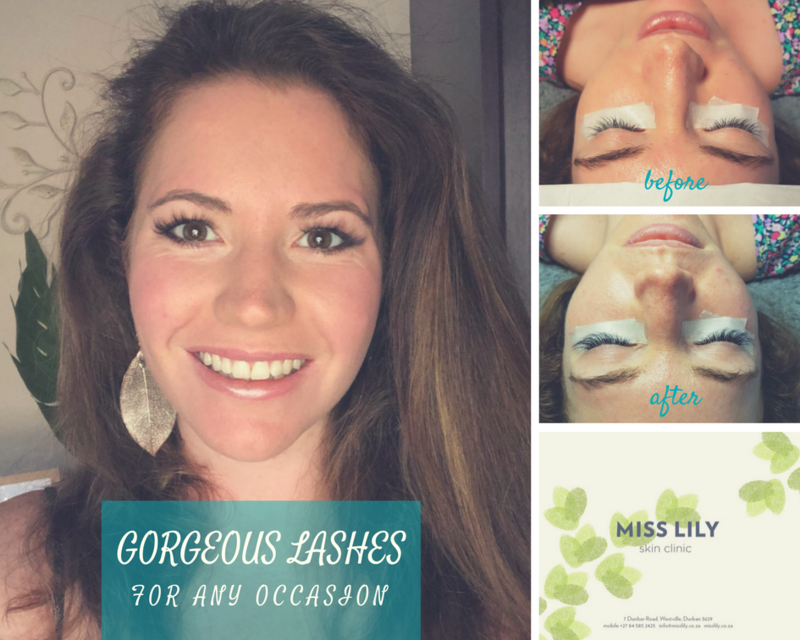 Enquire about our lash.lash lash extensions! Our next permanent makeup weekend will be on the second weekend of March (16th-18th)! Book now to avoid disappointment as Michal is booking up fast! 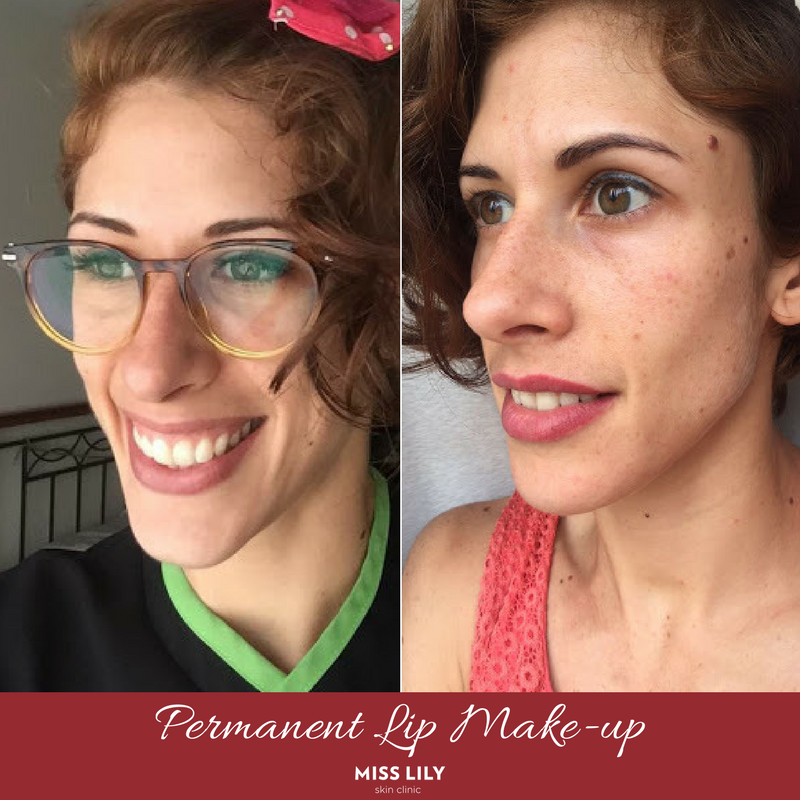 Above is a no makeup selfie before and after permanent lip makeup. 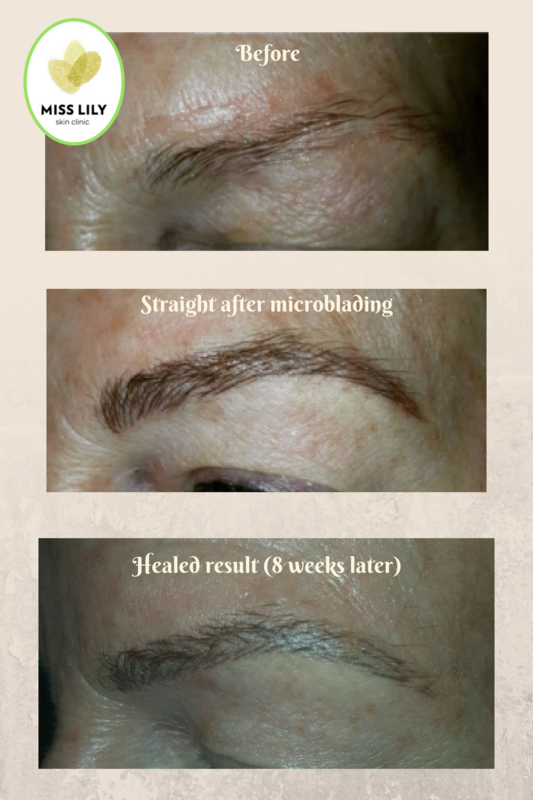 Leilah has also had her micro-blading brows and top and bottom eyeliners done by Michal!